Tina's Knitting Tips: What does Up1 Mean in knitting patterns? 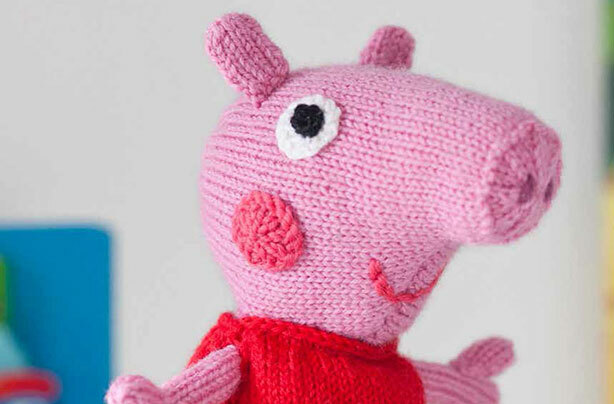 Question: I have the pattern for a Peppa Pig toy. The instructions to knit her head said to ‘up1’. What does that mean, and how do I do it? Answer: Up1 is a way to increase the number of stitches. When increasing in this way, you don’t make new stitches by working into the stitches already on the needle. Instead, with the right-hand needle, pick up the loop lying between the stitch you’ve just worked and the next stitch and place it on the left-hand needle. Knit or purl (as required) through the back of the picked-up loop. As you work into the back of the loop, the loop is then twisted, which will prevent holes and gaps forming.